2. Disruption and Disintermediation in Financial Services and Products: Why Now? John Hill is President and CEO of Derivatives Strategy Group. He previously served as Co-Head of Global Energy Futures at Merrill Lynch and at ABN AMRO bank and as President and CEO of Broadway Futures Group, a small independent broker. He was Senior Vice President of North American Sales for Intercontinental Exchange (ICE), one of the first electronic platforms and was a model to many more recent start-ups. During his tenure at ICE, the company grew from a small, Atlanta-headquartered private company to a public company with an IPO valued at $12 billion. It now owns and operates the NYSE, among other businesses. 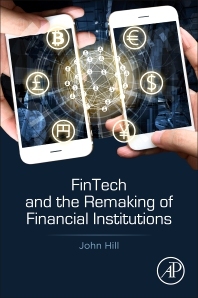 Mr. Hill was also Senior Vice President at ICAP, the largest interdealer broker, where his focus was developing electronic businesses and planning compliance with Dodd Frank regulations.